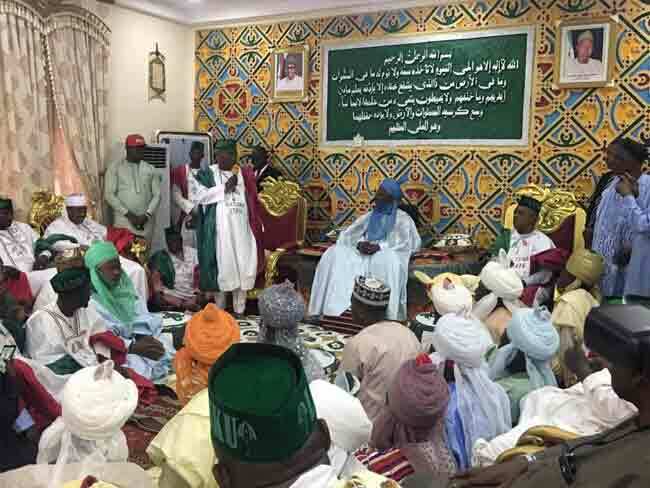 PDP Presidential Candidate, Atiku Abubakar, at the palace of the Emir of Daura in Katsina State on February 7, 2019. 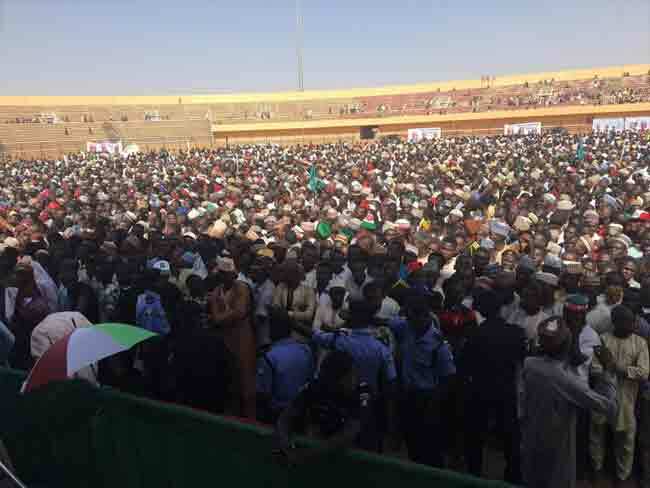 The presidential candidate of the Peoples Democratic Party (PDP), Atiku Abubakar, has visited Katsina State. 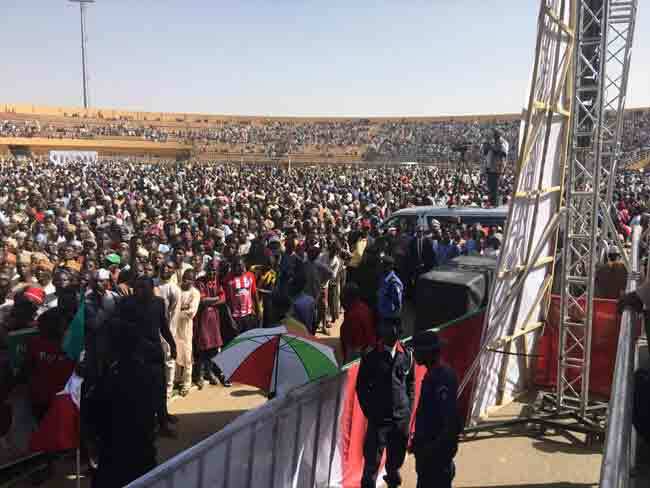 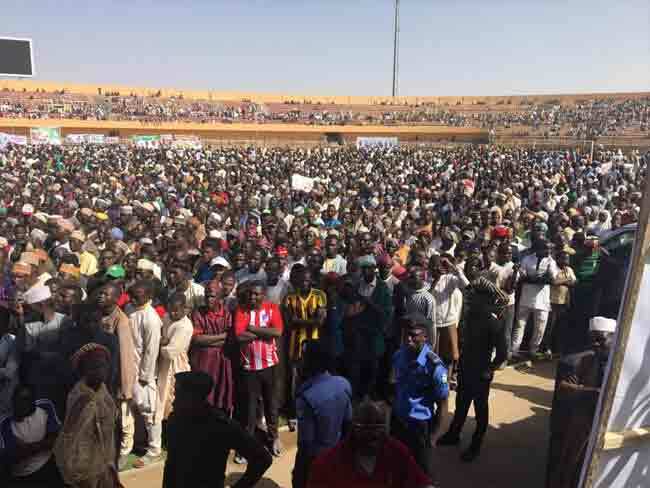 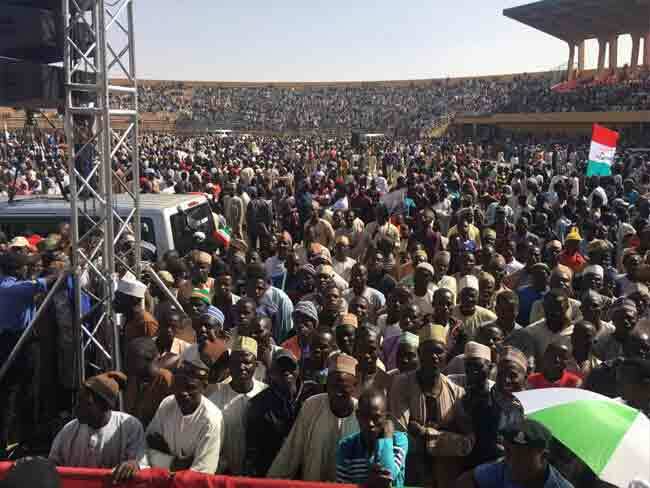 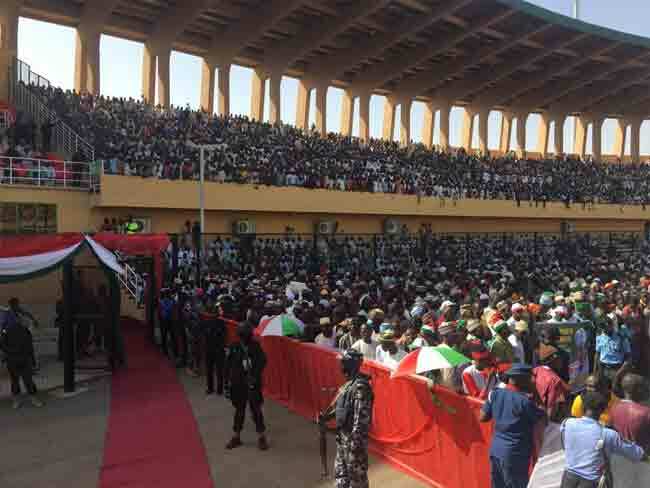 Atiku took his campaign to the Katsina on Thursday where he sought the support of the residents ahead of the February 16 presidential election. 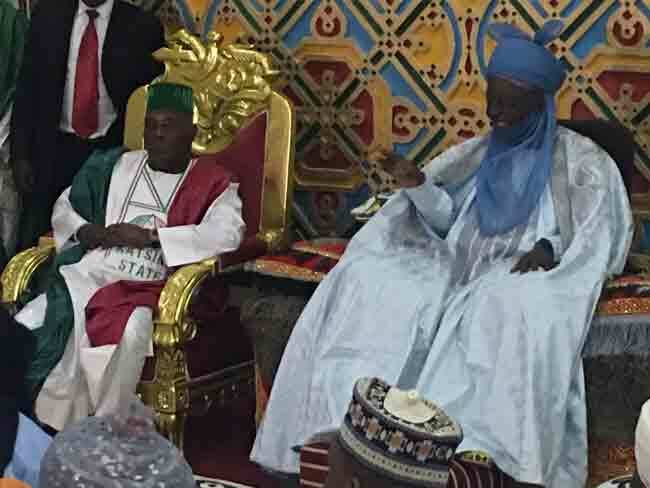 Shortly after arriving in the state, the former vice president visited the palace of the Emir of Daura, Dr Umar Faruk, in the hometown of President Muhammadu Buhari. 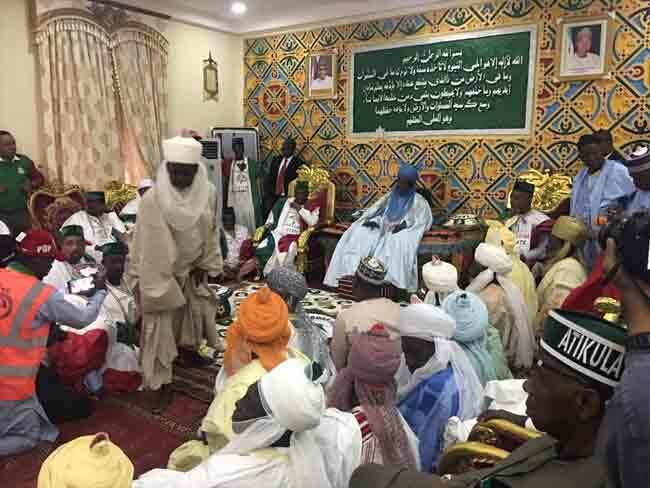 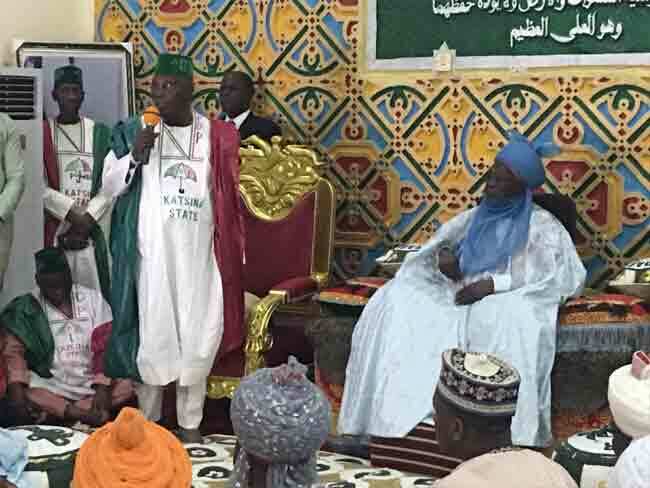 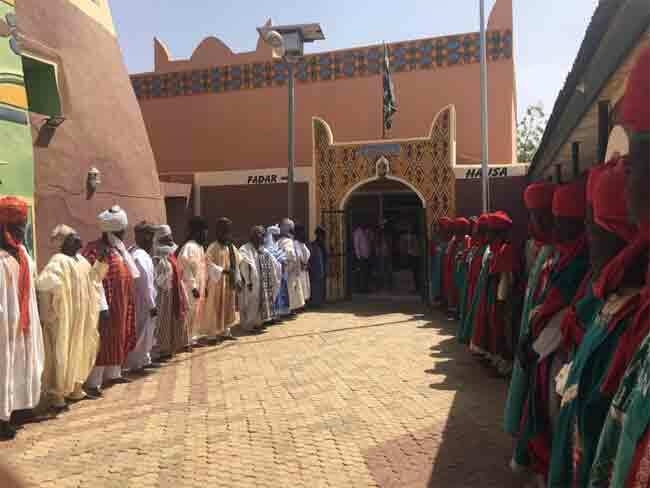 The PDP candidate, who was accompanied by some PDP leaders, paid homage to the traditional ruler and asked for his blessings. 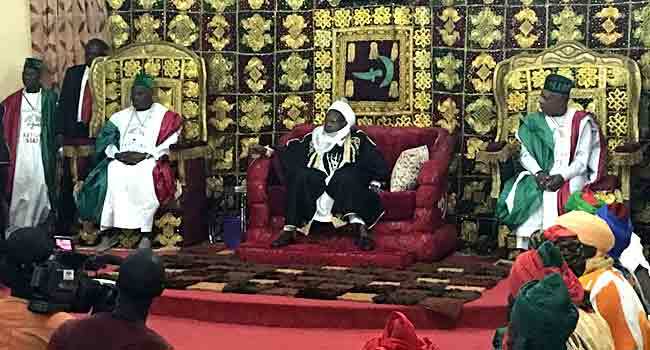 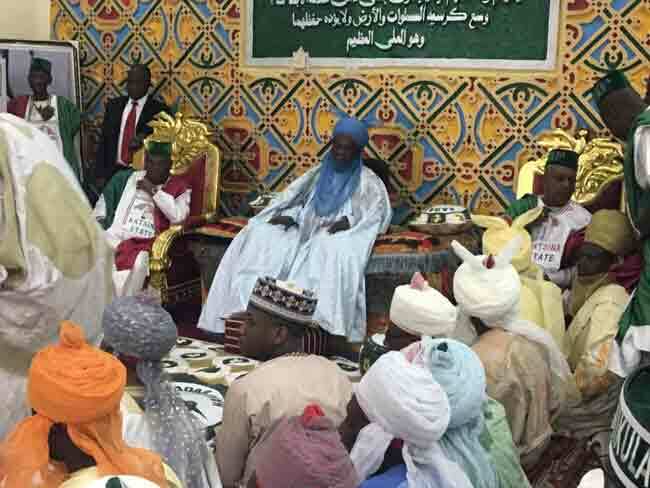 The Emir welcomed them and prayed for the coming elections to be peaceful, as well as the development of the country. 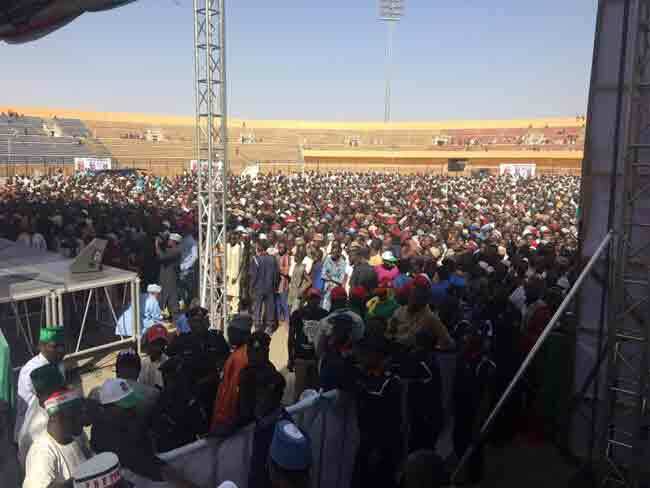 Atiku was accompanied by the PDP National Chairman, Uche Secondus, as well as the Director General of the party’s Presidential Campaign Council, Dr Bukola Saraki, among others. 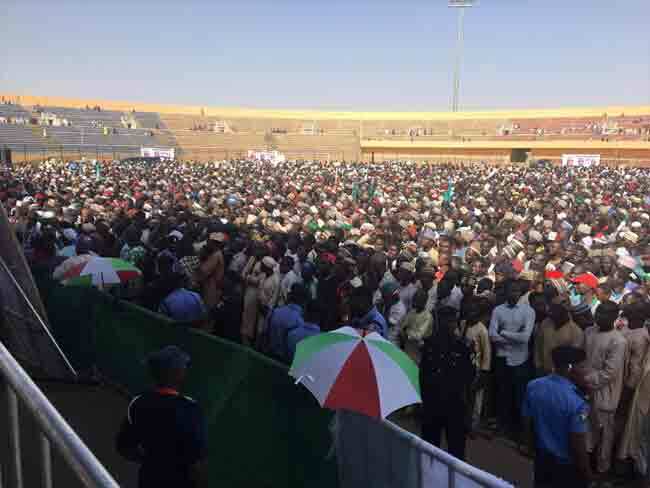 He, thereafter, attended a rally at the Karkanda Stadium where he addressed hundreds of PDP supporters in the state.